Mickey’s Very Merry Christmas Party begins on Thursday, November 9 and runs through Friday, December 22. As part of the celebration, there’s lots of festive merchandise available throughout Magic Kingdom. 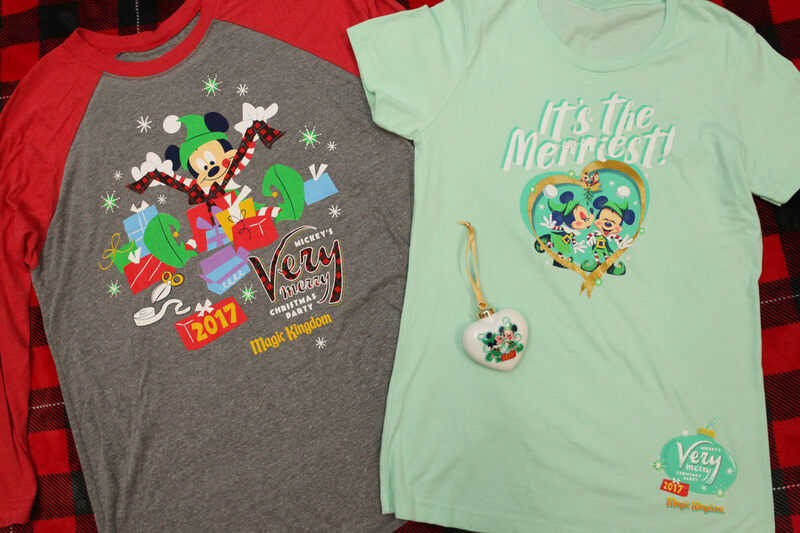 The collection of t-shirts, a holiday ornament, pins, and more is inspired by the whimsical spirit of the party. Event artwork is reminiscent of holiday cards and graphics from the 1960s and evokes warm feelings of holidays past. New this year, Goofy and Clarabelle Cow are featured on holiday-sweater style shirts and a decorative mug inspired by “Mickey’s Most Merriest Celebration,” a live show that sees Mickey and friends host an unforgettable holiday gathering. 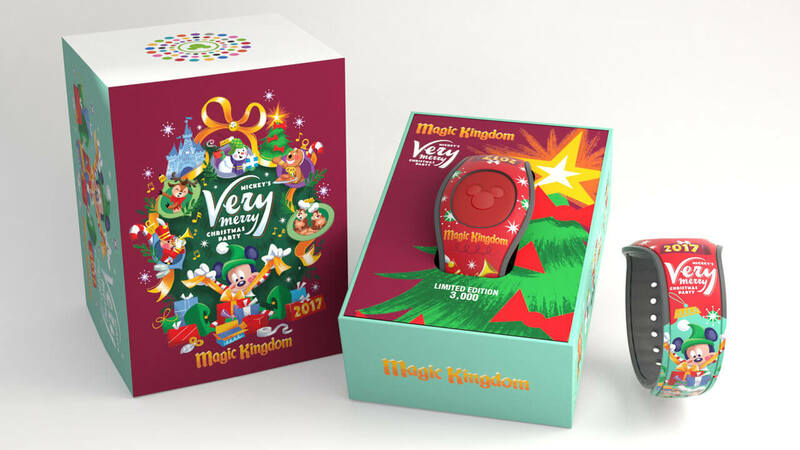 Disney pin collectors can find limited edition pins and pin sets. 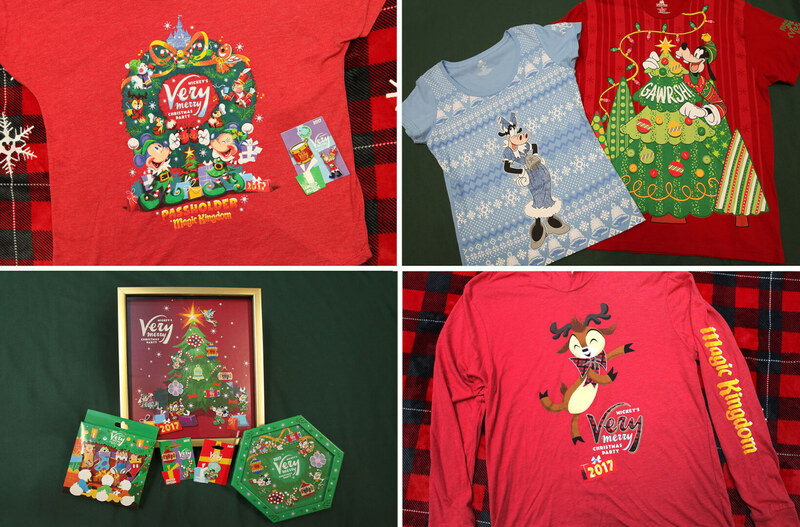 Annual Passholders will want to scoop up the exclusive apparel and limited release pin. The Very Merry Christmas MagicBand completes the holiday assortment. The festive band comes in a scented decorative box and makes the perfect accessory to wear during your seasonal visit to Walt Disney World.